For January's first piece of pretty mail, I actually didn't want to send something pretty - I promised an old friend one of my felt iPhone sleeves and he's not really a pink glitter kind of guy. So I grabbed some basic kraft paper, one of the camera stamps you just might find in our Lucky Bags, a black & white paper bag and an index card. Oh, and some washi tape - because, well, I don't do much without it! I slipped the felt sleeve inside the paper bag and sealed it with a strip of washi tape. 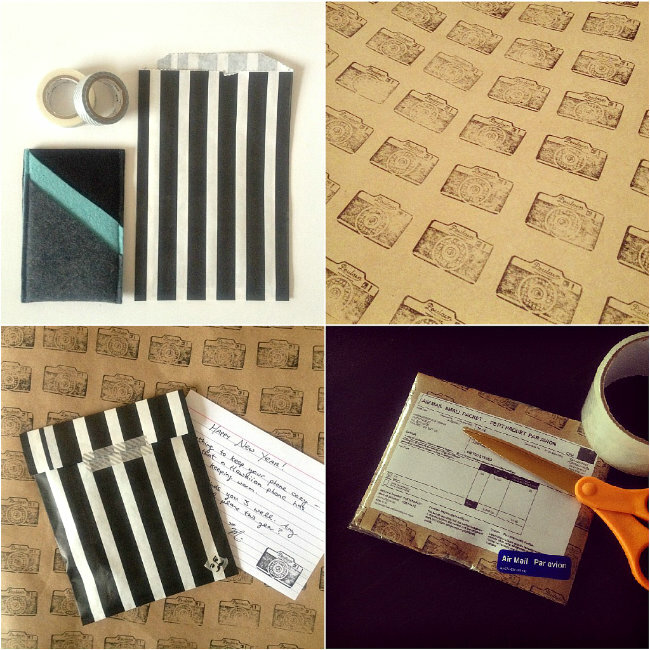 Then stamped the kraft paper with a pattern of black cameras and one on the index card too. Wrapped the paper bag and index card in the camera print kraft paper. Finally I covered the whole package in a layer of clear packing tape for durability. one down, fifty-nine to go! Have you sent any pretty mail lately? What a great collection! Thanks for sharing. Where did you get this stamp? I want one of those! Hi Ivy, they were a product we brought in for our New Year Lucky Bags. Don't have them any more - sorry! 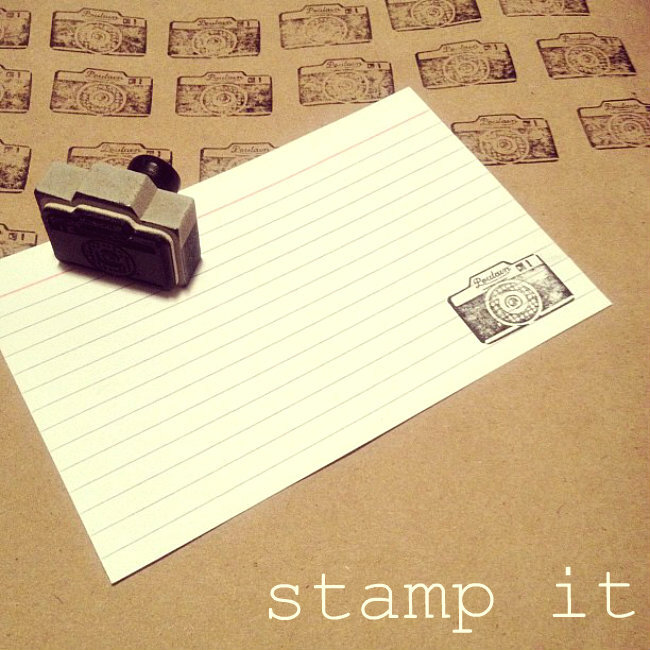 Maybe search for "camera stamp" on Etsy?